The new government-funded National Plant Monitoring Scheme (NPMS) will enable scientists to take an annual stock take of the UK’s wild plants and their habitats for the first time. 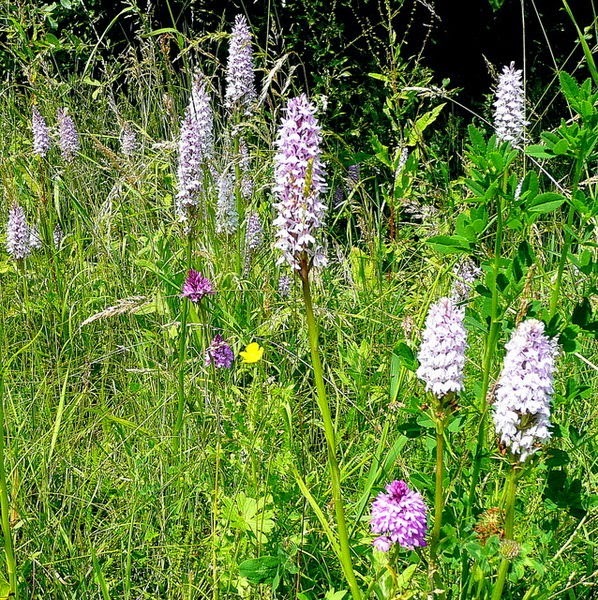 They need our help and are hunting for volunteers to carry out surveys of wildflowers, including orchids. Their habitats that will provide evidence of plant species increasing or declining, as well as indicating the changing state of valued grassland and fenland habitats as well as road verges (as pictured). Volunteers will receive survey guidance and a colour ID guide full of beautiful photos and illustrations of the 408 NPMS species. There will also be the opportunity to attend training workshops up and down the country to get to grips with the methodology and network with fellow volunteers. Helpers will be randomly allocated a convenient 1km square to visit. The visit involves recording plant ‘indicator species’ in plots. Within your 1km square you will record around 5 plots in semi-natural habitats. Anyone interested in nature who can identify plants, or who is keen to learn. Different levels of participation ensure that all who are keen can participate: you do not have to be an experienced botanist. You will only need to identify between 25-30 indicator species per habitat. For more information visit www.npms.org.uk.